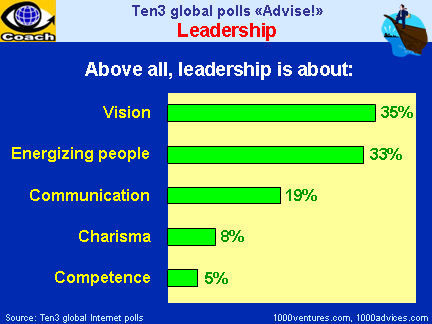 Leaders Attributes are the inner or personal qualities that constitute effective leadership. 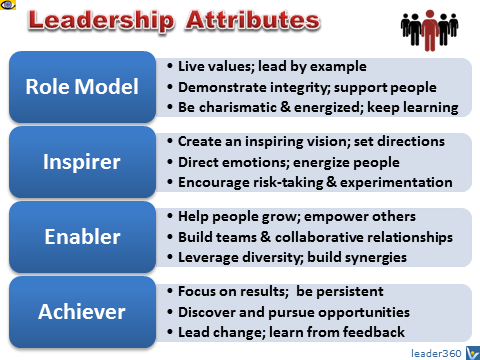 These attributes include a large array of Are-Know-Do characteristics such as vision, values, character, motives, habits, traits, competencies, style, behaviors, and skills. Change creates leaders, Leaders create change. 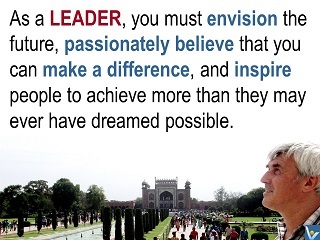 Leadership is about creating powerful human currents moving enthusiastically and creatively in the right direction.